The Sendoso eGift step in PlayMaker helps you send digital gifts from your Sendoso account as part of your Play. Click on the "Create Data Source" button and select Sendoso. 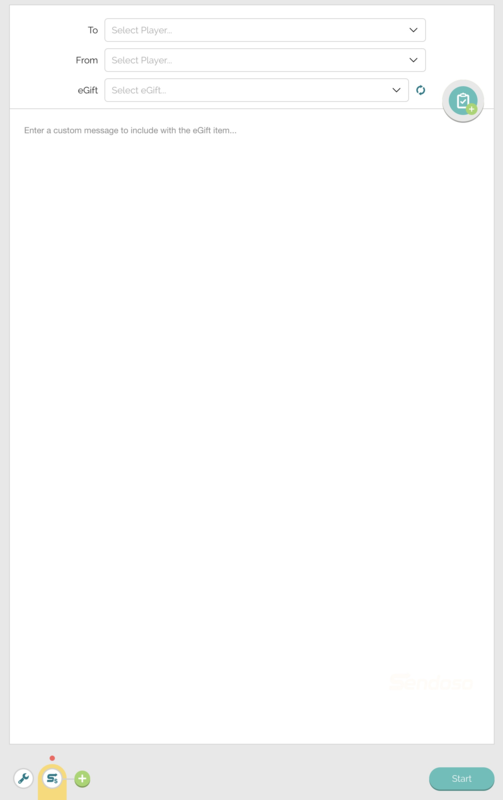 You will be redirected to log-into your Sendoso admin account. A user-level integration which any user that wants to access their own account balances and gifts will need to set-up. Click on the "Connect" button for Sendoso which will give you a pop-up. 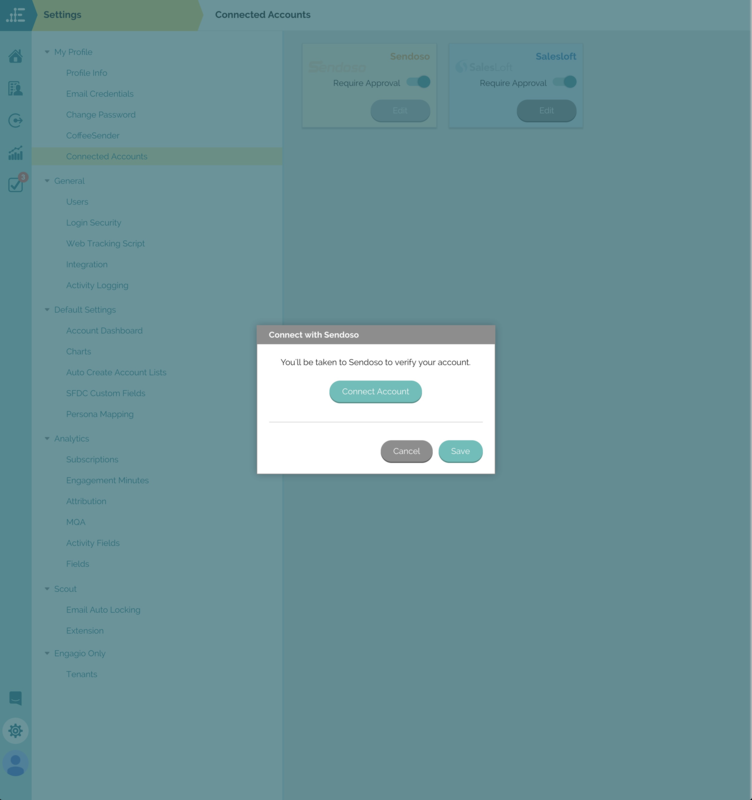 Select "Connect Account" and you will be redirected to authorize your Sendoso account. An individual user does not need to connect their Sendoso account to use the Sendoso step in PlayMaker. 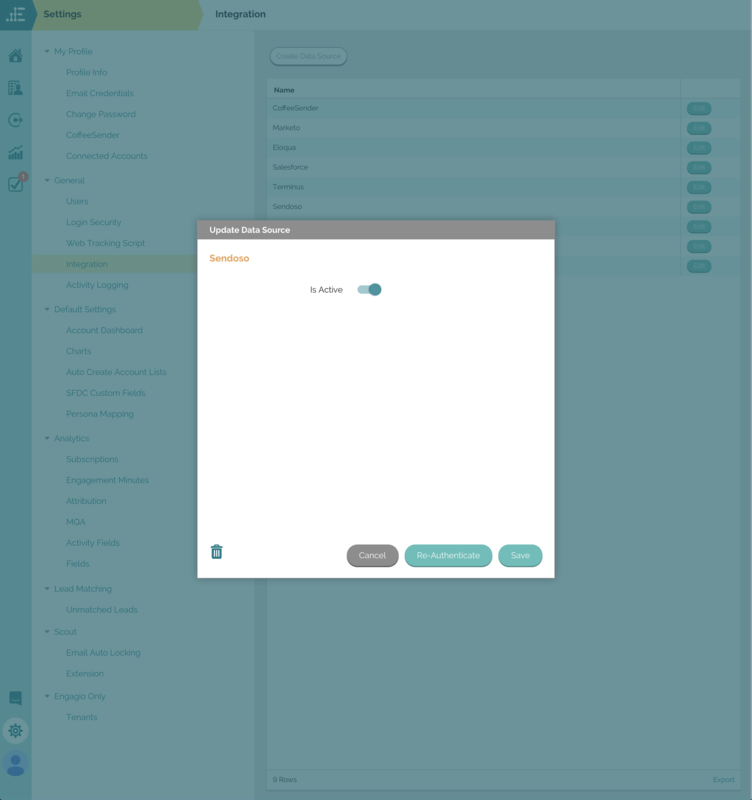 Once any Sendoso account is set-up in Engagio, any Engagio user can add the step, but will only be able to send and select eGifts from connected Sendoso users. This step's purpose is to send an eGift from a Sendoso account to a target. 1. Select a Player on "Their Team" ("To") from the dropdown. 2. Select a Player on "Our Team" ("From") from the dropdown. The selected user here will determine which eGifts you will be able to select. 3. Select an "eGift" from the dropdown to send. The choices displayed here are any available to your account and marked as deliverable by email on the Sendoso side. 5. Enter a custom message in the text box to be delivered with the eGift. 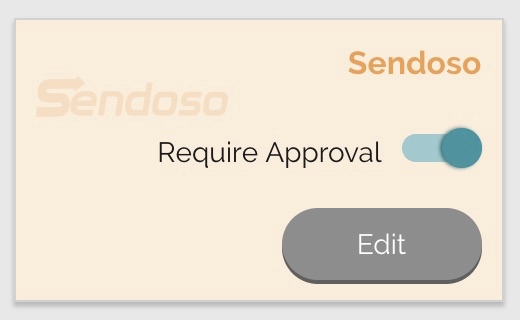 The recipient of the eGift will become part of Sendoso's flow immediately following the execution of the step and will be visible in the Sendoso dashboard of the sender.